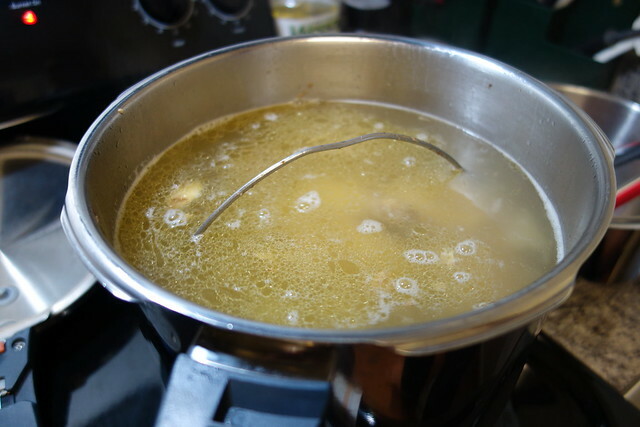 I made my base soup from pressure cooker chicken stock. 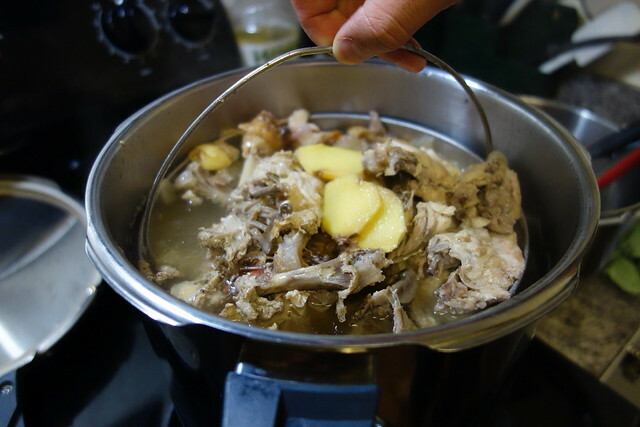 I just simply put chicken back bones and leftover rotisserie chicken bones with some ginger and onion into pressure cooker to cook for about 45 mins. Then I put some vegetables which needs a little more time to cook into the pot such as corn, radish, and carrots. One small tool I found really convenient is this little nest from my WMF pressure cooker. I simply put all of the bones or stuff that I would want to filter out from the stock into this nest so it could be very easy to remove from the stock. I even took it out before I put other vegetables to cook into the soup then put the nest back in to cook. Very useful little trick. 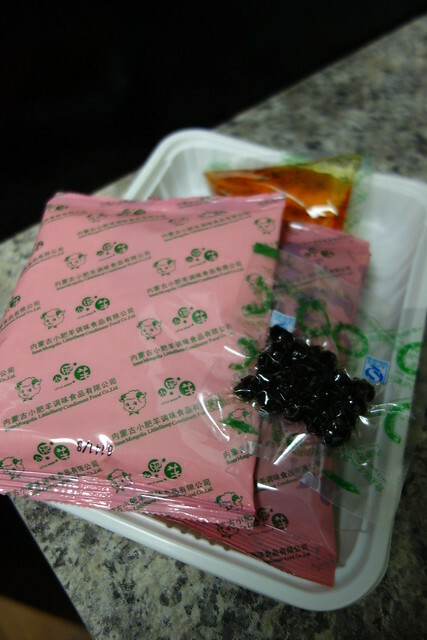 For the Sichuan pepper hot pot base, I bought the Little Sheep hot pot base from Asian super market. 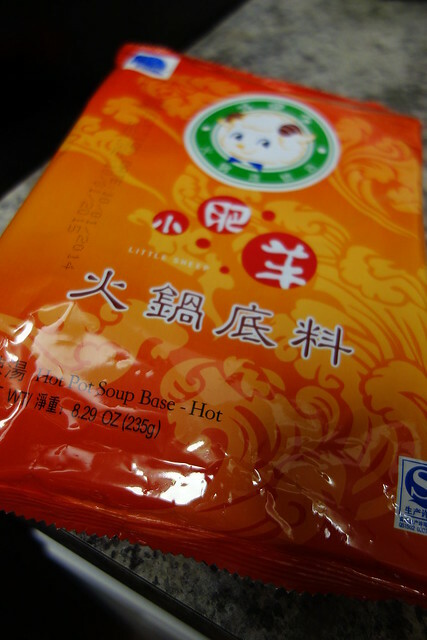 It contains spices and soup base powder with a packet of spicy oil. Just pour all of the packets into the chicken stock and add some fresh garlic and green garlic to make the sichuan pepper hot pot base. 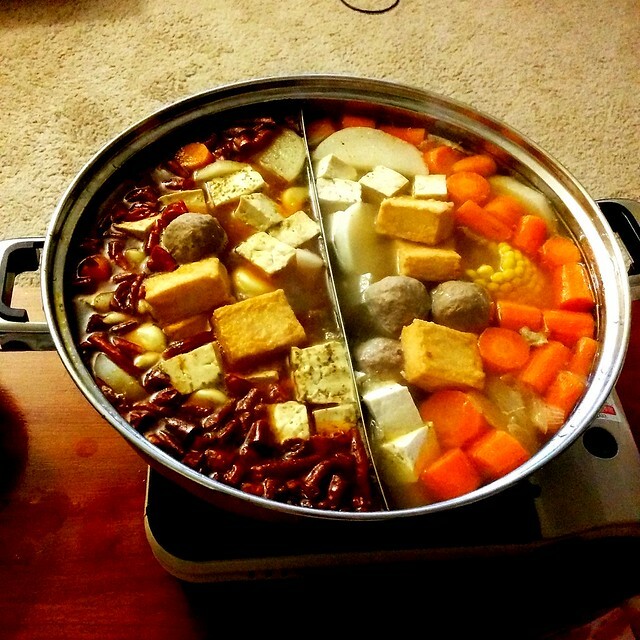 I gave this hot pot base recommendation of 75%. It smells really good but the soup base is a little salty and it contains MSG. I found the soup was not spicy enough that I added a little more dried chilli and sichuan peppercorn myself. 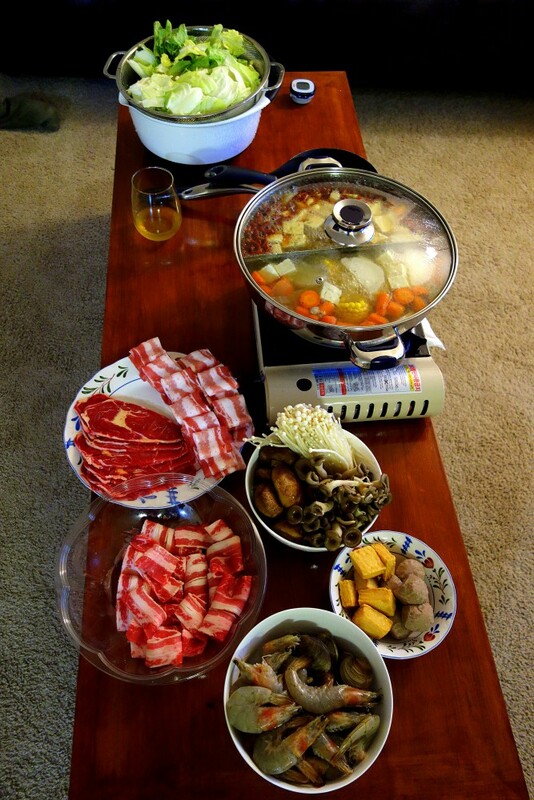 Afterall, it is an quick and easy ways to prepare the sichuan pepper hot pot base. The second day, we bought a couple fresh live blue crabs and just boil them in the hot pot base. OMG it tastes amazing and it’s really easy to prep. 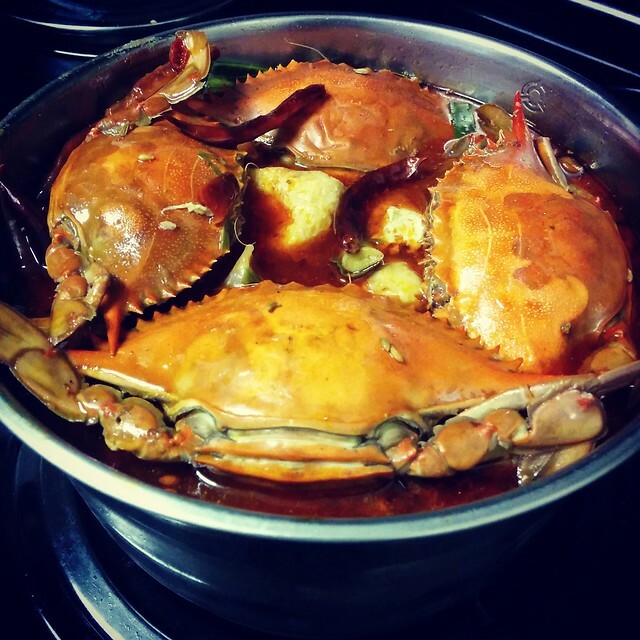 All you need to do is just clean and brush the crabs and then throw them into the hot pot and place the lid until it is thoroughly cooked.